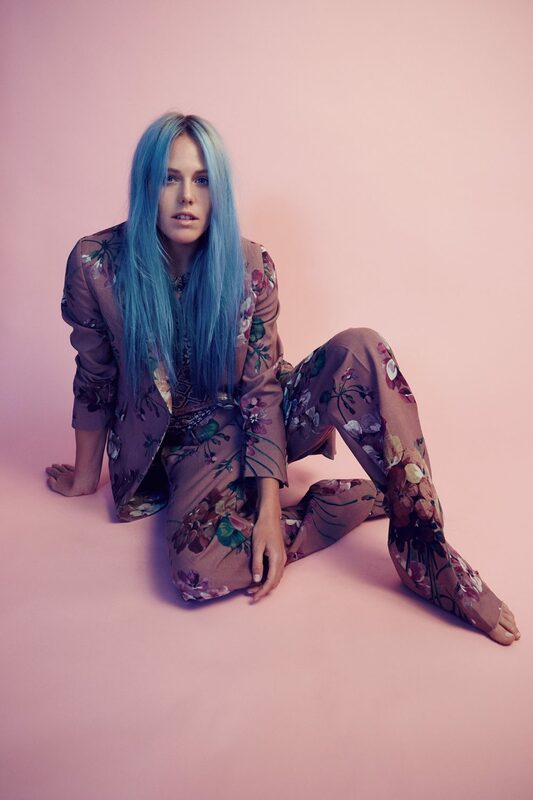 Home / Celebrities / Sportswomen / Pro Surfer Laura Enever Likes Chasing Big Waves, Inside & Outside The Ocean! Pro Surfer Laura Enever Likes Chasing Big Waves, Inside & Outside The Ocean! You are considered one of the world’s best female surfers. How would you like to define your signature surfing style? I’m not sure! I guess I would say my surfing style is a bit like my personality – fun, fast and unpredictable ha! Surfing those strong waves you need to be physically & mentally sound. Share with us your workout routine that you follow to stay fit for the competitions. Although the best fitness for surfing is surfing, I would be lost without clinical Pilates – It has helped me strengthen my body, re-align and overcome injuries. I also add in weight training and a bit of cardio (my least favourite). I’ve got a lot of energy so love to slow down, stretch and meditate too. Along with working out, it is also essential to eat right. What does your meal routine in a day look like? Your sport requires you to be all out in the sun and sea, still, you possess a glowing skin and gorgeous hair. How do you maintain them? I’ve always been very good about keeping my skin protected in the surf. I won’t go in the water without Zinc or sunscreen (Shiseido zinc foundation is my fav). I learnt my lesson about looking after my hair – when I was younger my ends were literally fried and had to be chopped off! Since then I always have leave in conditioner handy when I get out of the surf to put in my hair immediately! 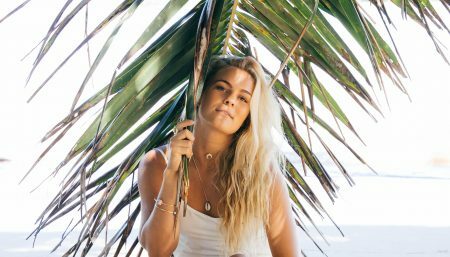 Sportswomen Professional Surfer Felicity Palmateer Talks Best Surfing Destinations, Bikinis & Lots More! 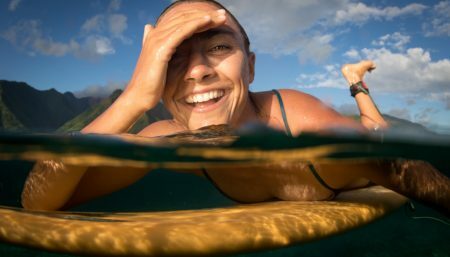 Motivation Point Surfing Queen Léa Brassy Shares Her Awe-Inspiring Journey Into The World Of Reefs & Oceans!